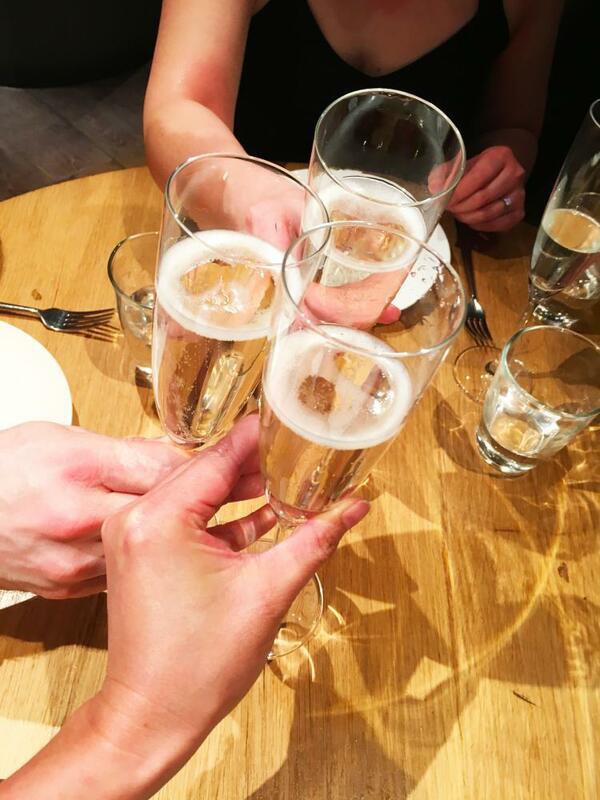 Let’s sip on Prosecco at Han Setto! 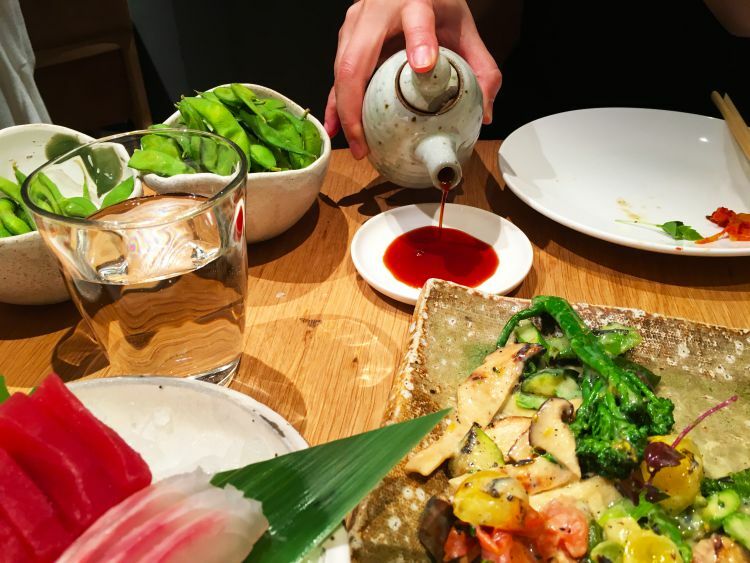 A Japanese brunch with unlimited wine/prosecco to try? Why not! 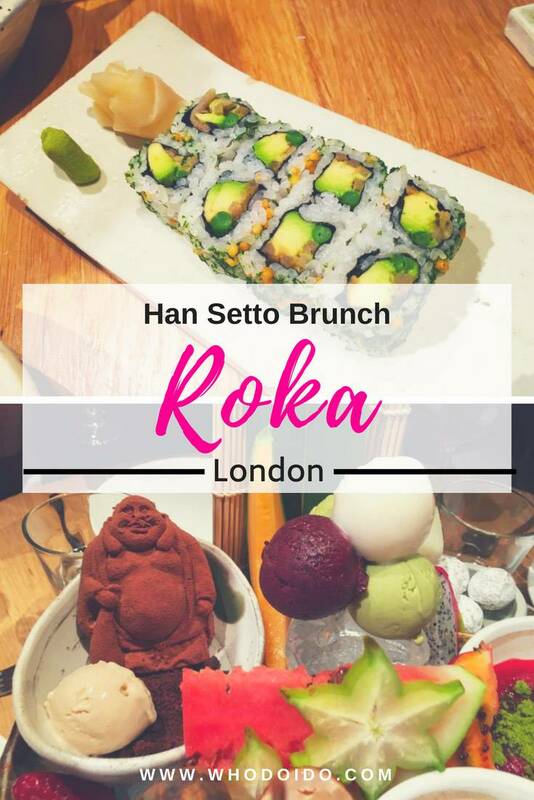 After having horrific food poisoning many many years ago (I would say, around 20 years ago) in Hong Kong on holiday, it kinda put me off sashimi for a long time 🙁 Somehow, I felt the need to overcome the fear of eating raw fish and try the Han Setto brunch at Roka. 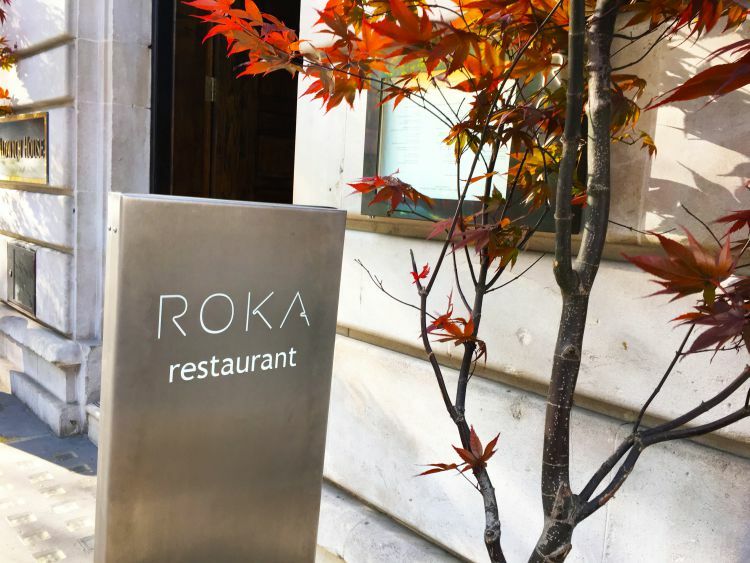 Roka Aldwych is located close to Covent Garden and was the fourth Roka restaurant to open in London. A table was booked for a Sunday at 1.30pm. On entering the restaurant, it had a lively, laid back vibe, fairly dark interior and was pretty busy. 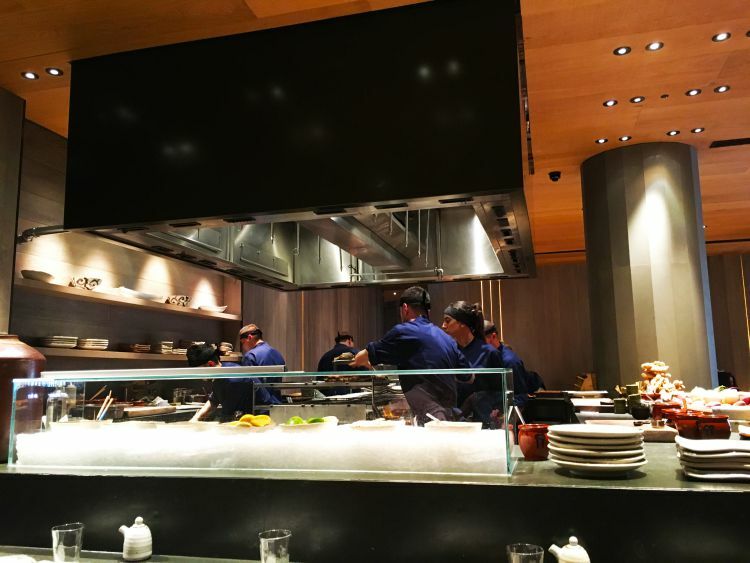 Decorated in line with the Japanese theme creating an informal and contemporary setting, dimly lit interior, with an open kitchen so you’re able to see what the chefs are preparing and cooking. 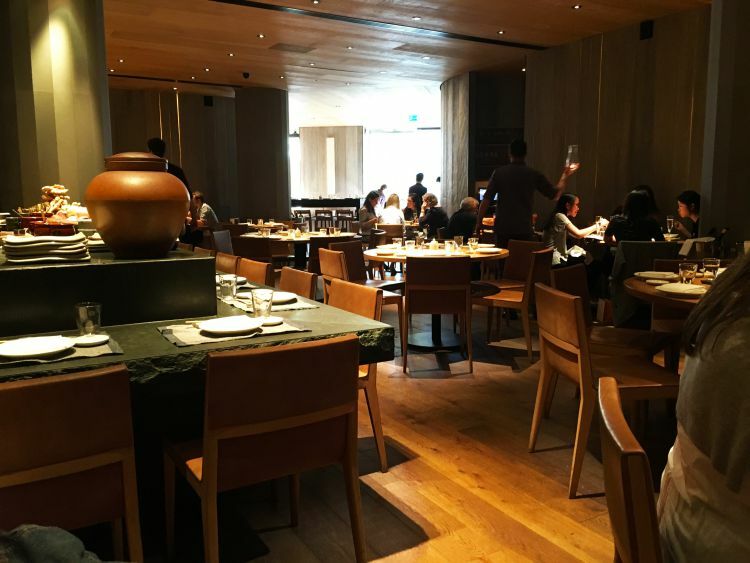 We were seated at the rear of the restaurant on a round table, which seemed fairly small considering there would be many small dishes to share for starters but we managed. Seating is available around the open grill kitchen too. 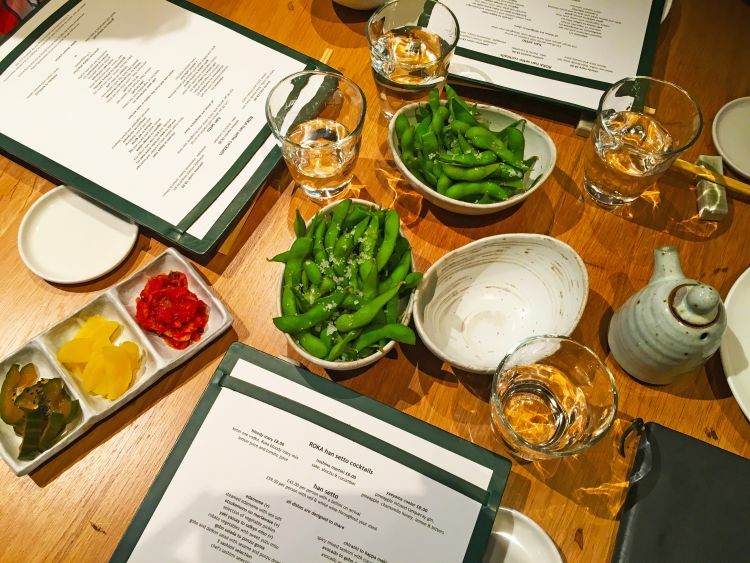 The first of the small dishes to arrive were the edamame beans lightly sprinkled with sea salt and pickled vegetables to munch on, immediately followed by welcome bellinis to sip on whilst perusing the menu. 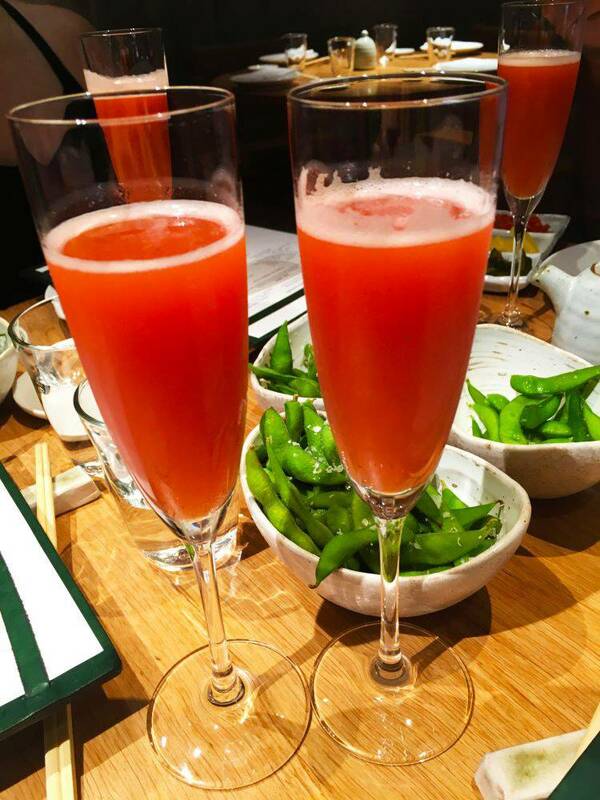 The bellinis were wonderful, very fruity indeed. 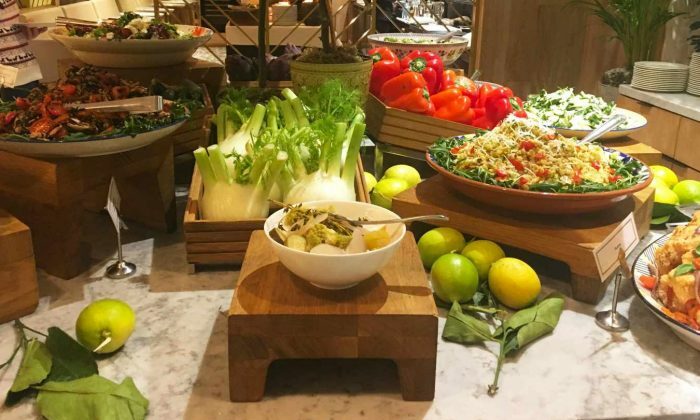 Initially the whole table decided on the Han Setto brunch with the red/white wine option, however later we discovered that the wine could be replaced with unlimited prosecco. If the waitress had told us earlier that this was an option, we would have chosen that. So unlimited prosecco it was (Ian chose to stay on red wine but sneaked an occasional glass of prosecco too)! 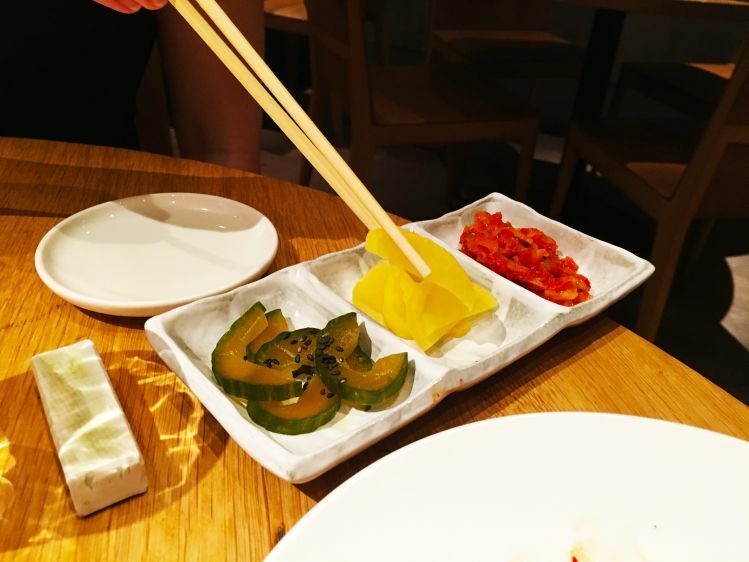 There was also an option to choose Han Setto cocktails; bloody mary, noshino martini and yaeyama cooler … mmmmmm 😉 The starter dishes came out one by one, slowly filling up the table. 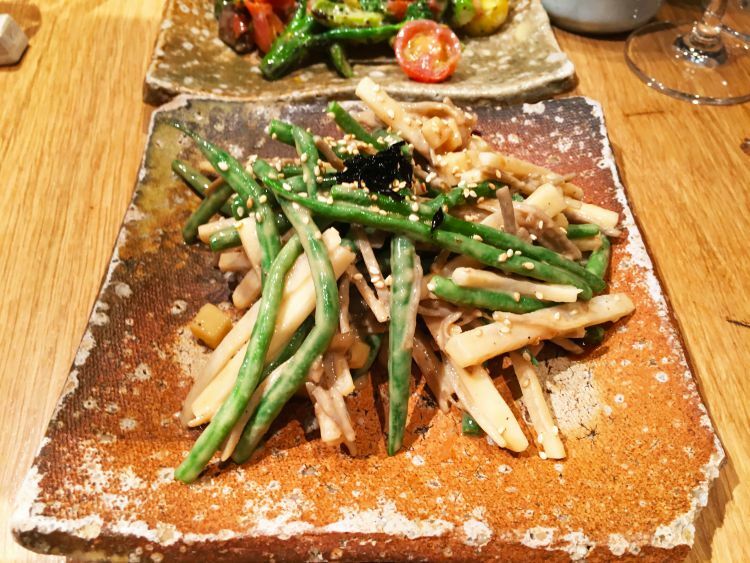 The robata vegetables with the yuzu miso was pretty mediocre but the crunchy gobo and daikon salad with the lovely sesame and ponzu dressing was much better. 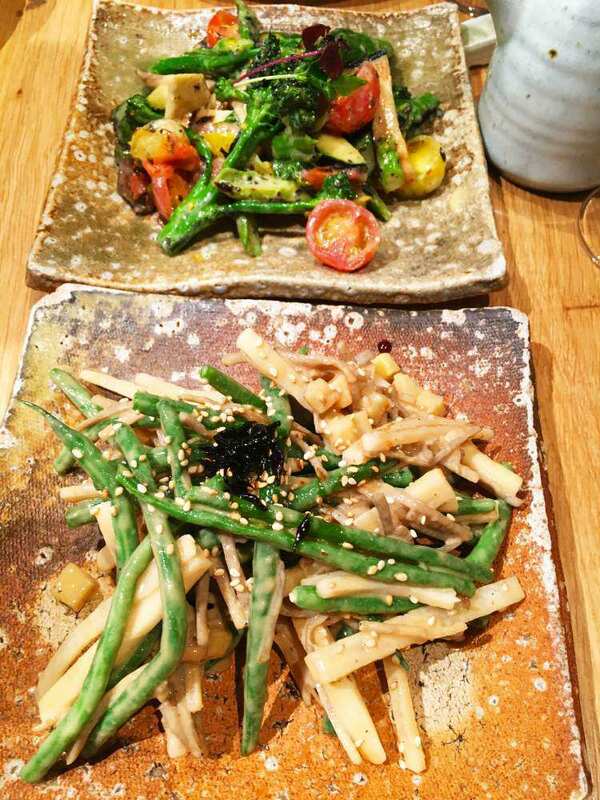 Did we reorder these two vegetable dishes? No, unfortunately we didn’t find them exciting enough to want more. 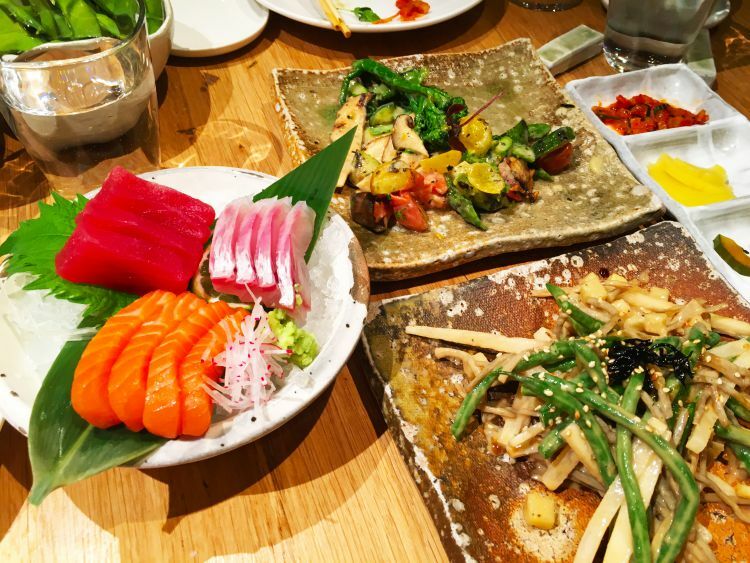 Next up was the three sashimi selections of tuna, sea bass and salmon. Oh! My! Goodness! 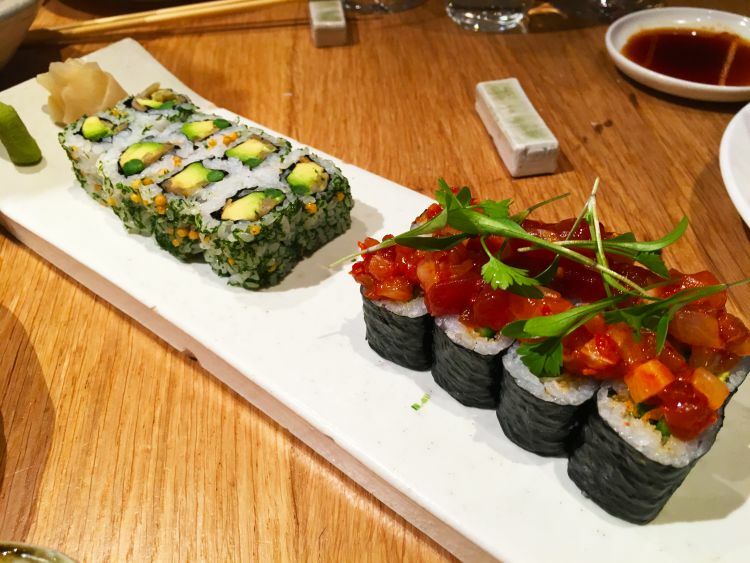 I had mentioned earlier that I wasn’t the biggest fan of raw fish, but this dish had us all begging craving for MORE. 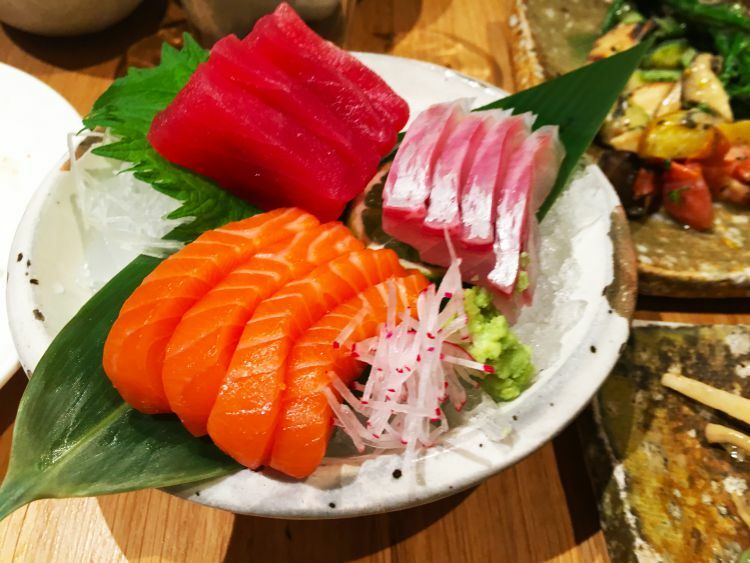 The sashimi was so fresh and delicately flavoured and super tasty when dipped in the soya sauce. ‘Anyone like anymore?’ = YES PLEASE! 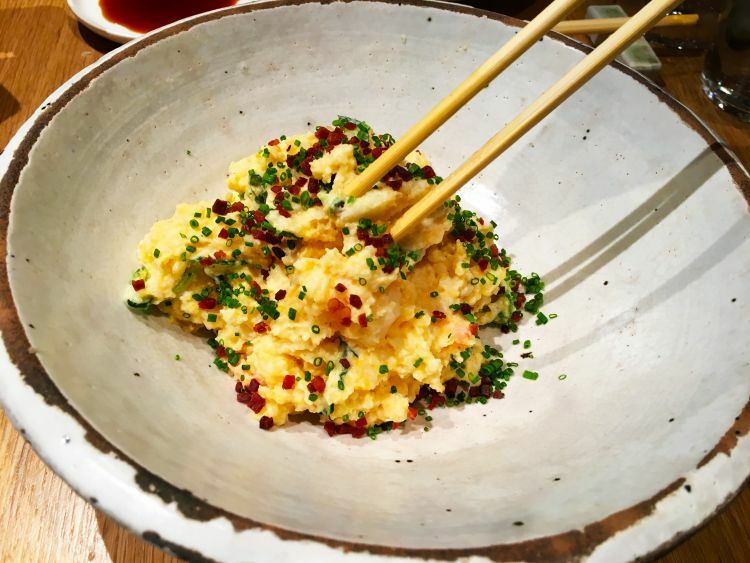 We found the potato salad with bacon and egg a strange dish – on appearance resembling scrambled egg, it was ‘claggy’ with a spongy texture in the mouth. Sorry, but I’m afraid it wasn’t for us. 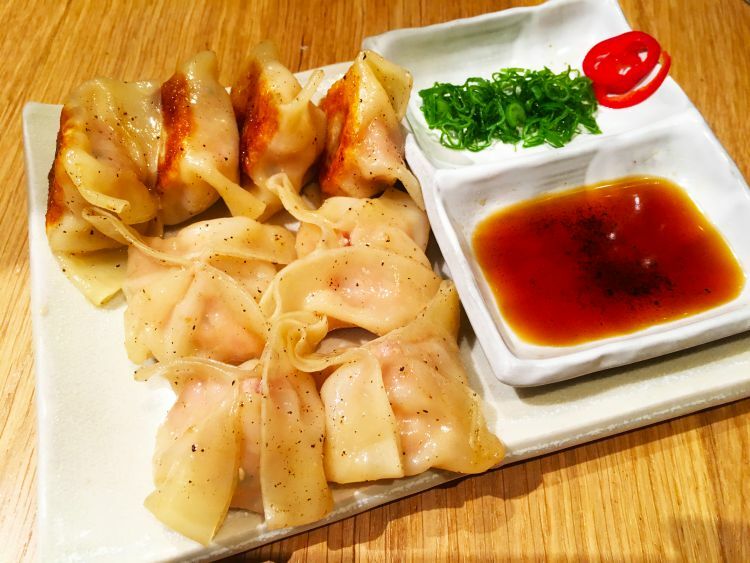 The only thing we noticed when we reordered a few starters, was that the portions were half of what were initially brought out and there was quite a wait for the starters as they were busy. 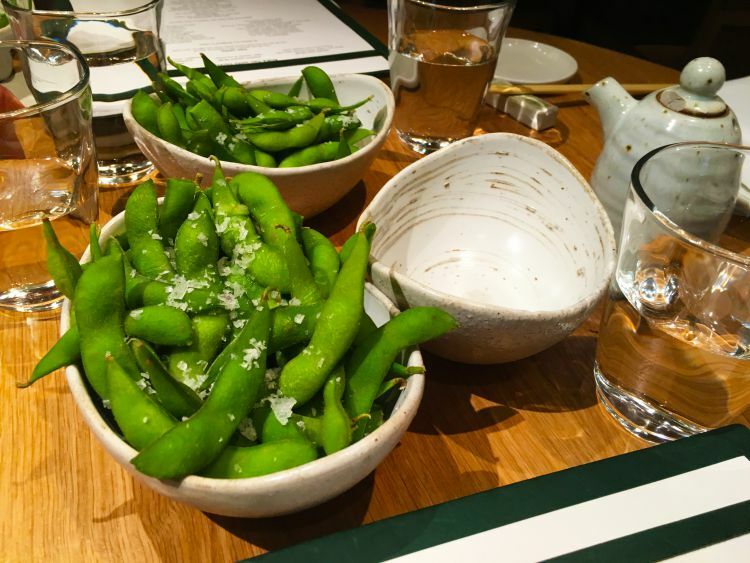 Even though the refill dishes were smaller, it didn’t deter us from ordering more. 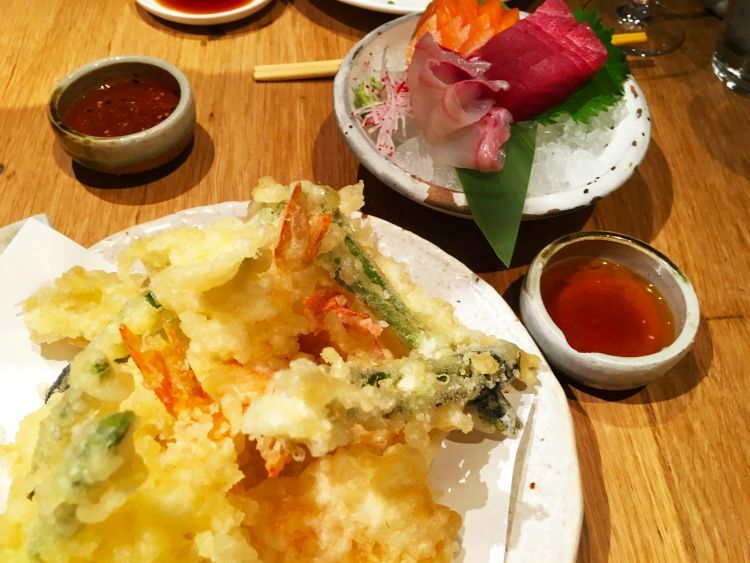 Now onto the main course …. 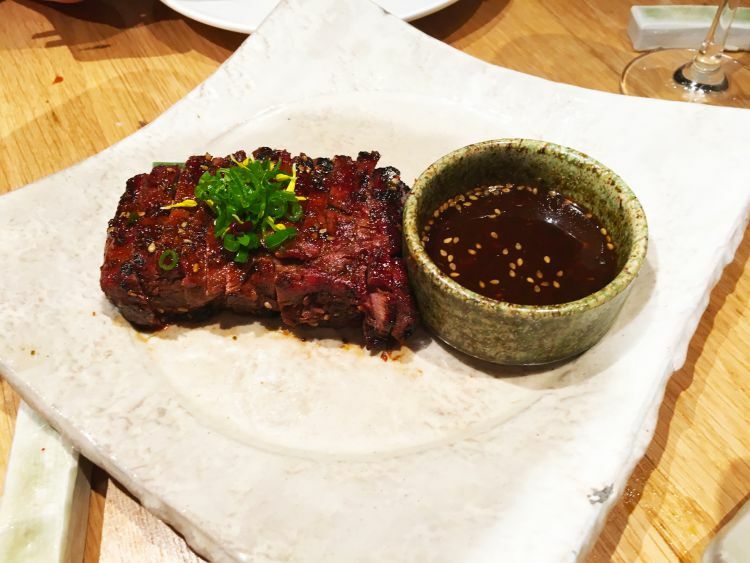 my sister chose the beef sirloin which was very tender and had just the right amount of chilli. I couldn’t resist but had to steal a few pieces off her plate when she wasn’t looking! 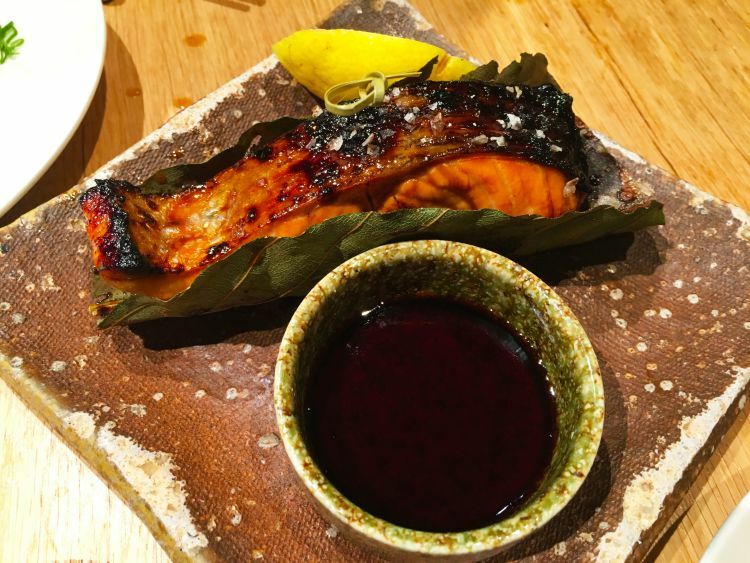 Her fiancé had the perfectly cooked sweet salmon teriyaki which flaked beautifully. 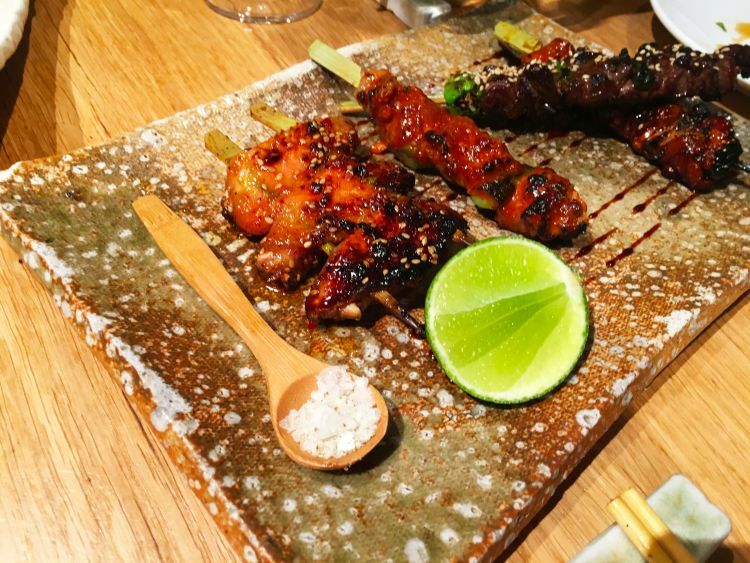 Ian opted for the tender, melt in your mouth chicken and beef skewers – plenty of skewers for one person. 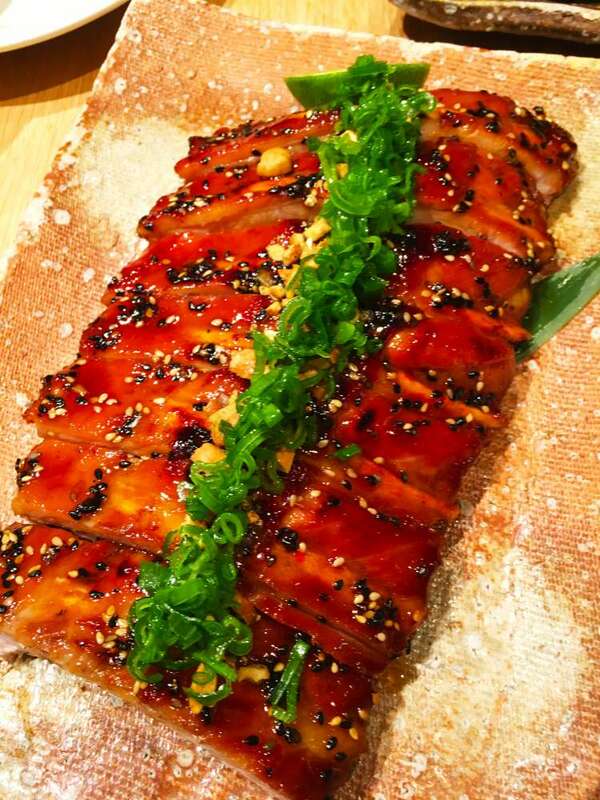 While I chose baby back ribs which were sticky and sweet, and sprinkled with finely chopped spring onion … proper finger lickin’. 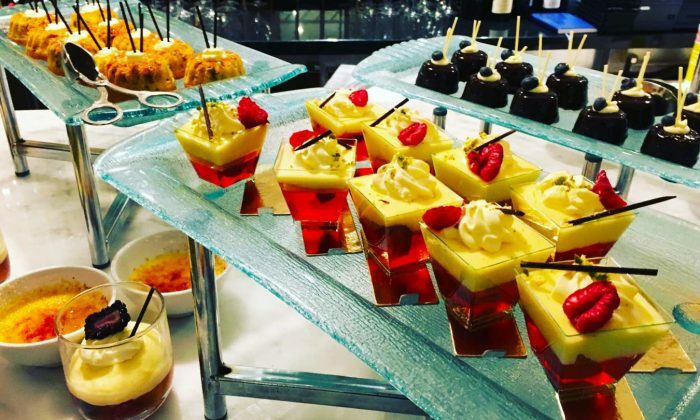 At this point we thought we couldn’t fit in anymore, but the dessert platter was eye popping. 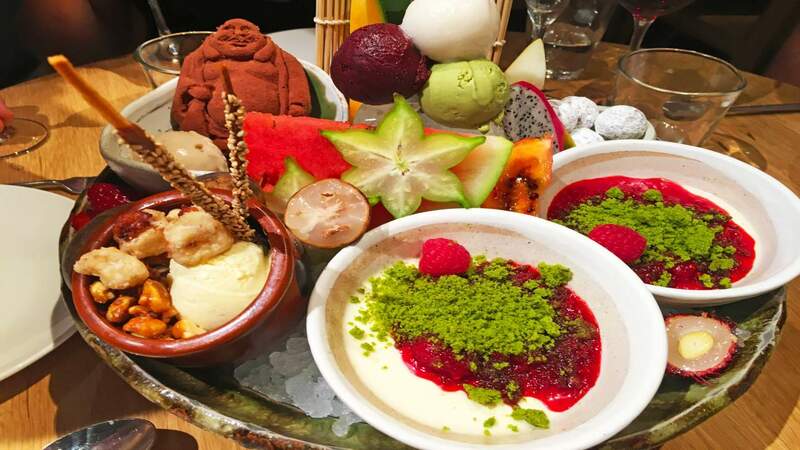 A selection of creamy ice creams, chocolate truffles, refreshing fruit sorbets, fresh exotic fruits (dragon fruit, starfruit, watermelon and others I can’t pronounce!) 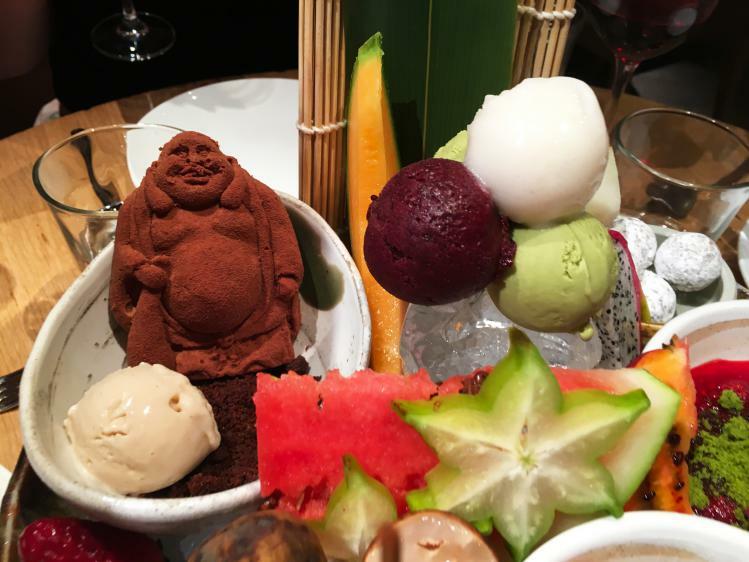 plus a chocolate buddha and panna cottas. The ice creams and sorbets were smooth and light in flavour, not overly sweet. 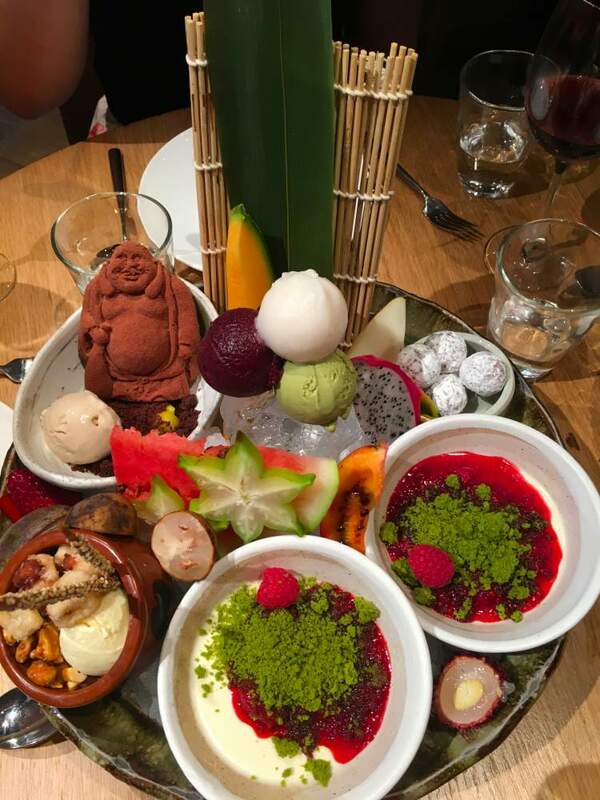 The dessert platter had the perfect balance of sweetness and freshness – very scrumptious. Towards the end of the meal I was accidentally showered with prosecco, the staff just smiled and mopped up but the manager was very apologetic and removed the service charge, one brunch off the final bill and offered to dry clean the items. 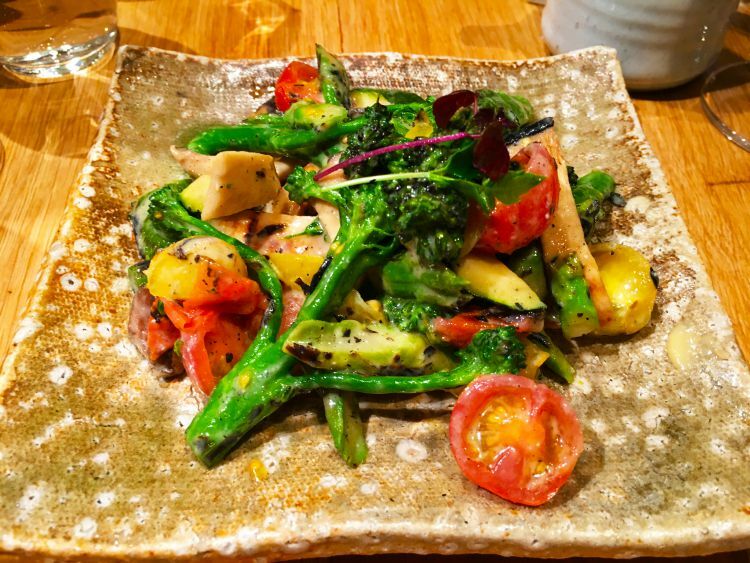 Overall, the food and the service were excellent; despite the slight wait when we ordered more of the starters, our glasses of prosecco and wine were continuously topped up and the staff were friendly and attentive. 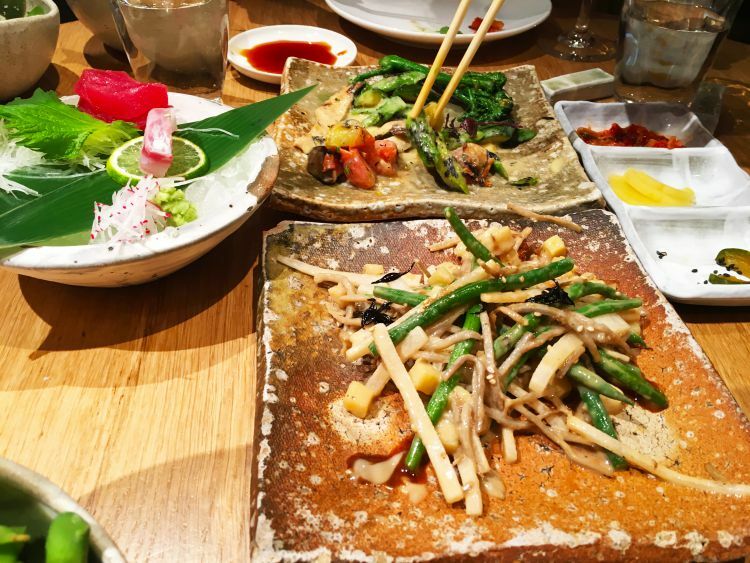 We would highly recommend the Han Setto brunch at Roka and definitely return soon. 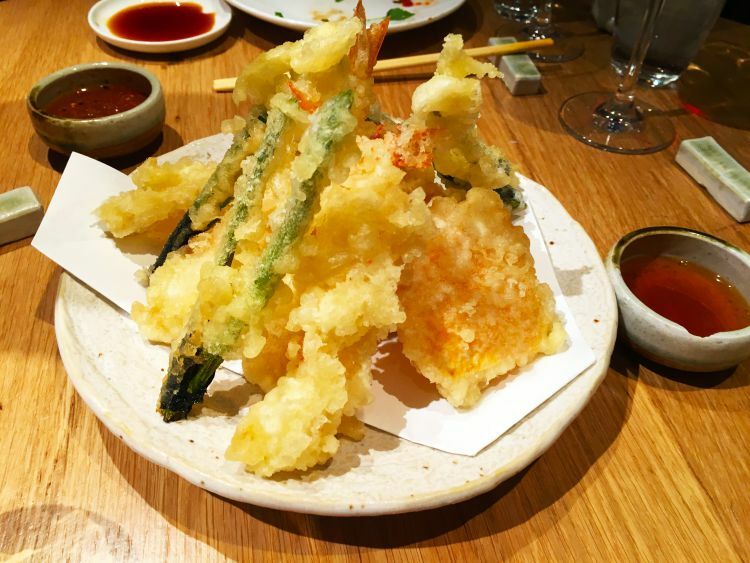 We’ll probably try Roka in Canary Wharf next time to compare. 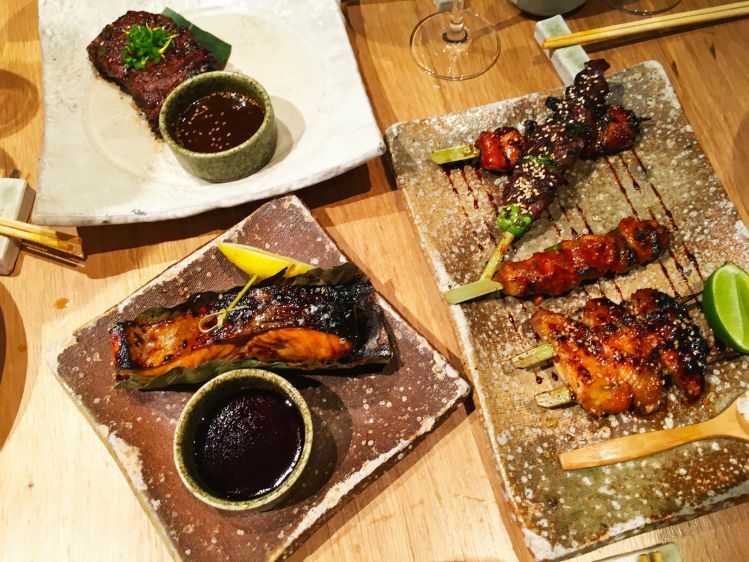 Have you been to Roka? 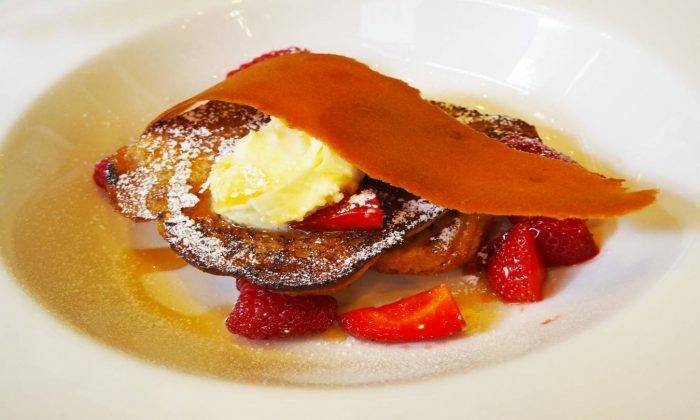 Where’s your favourite place for brunch? All of that food looks so delicious! 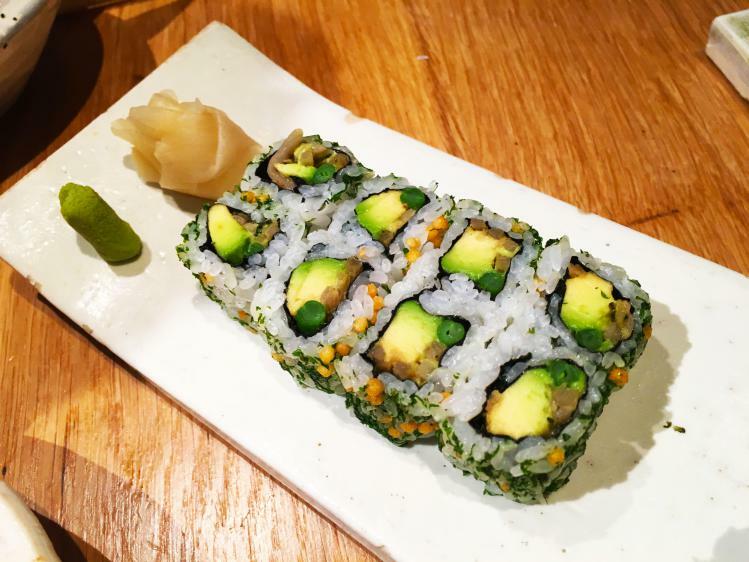 I love me some fancy Japanese food, especially food that looks just as good as it tastes. 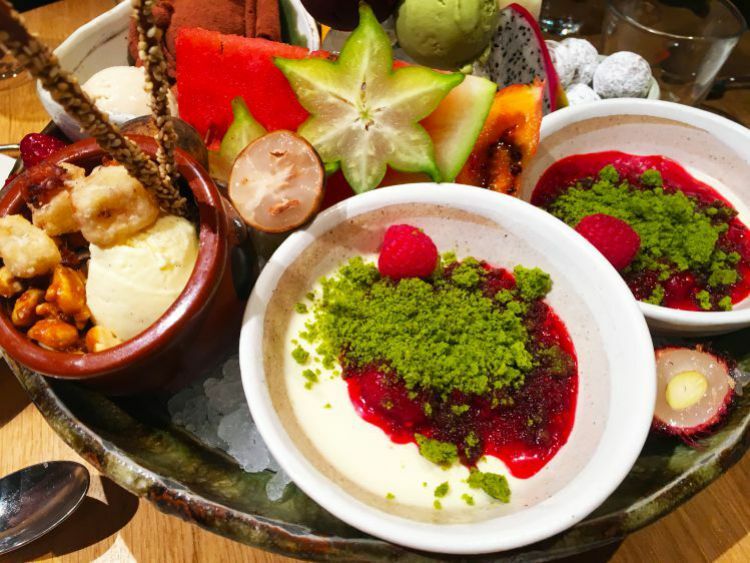 The dessert looks so amazing since I love anything matcha and I love panna cotta. The logo for this place looks so familiar, I wonder if it’s the same as the one we have in San Francisco. I’ll need to check up on that. I don’t think I have ever seen so much food in one meal! The price is excellent too, especially with the unlimited Prosecco. That looks so lovely, your pictures are terrific. Shame about the mishap at the end but it sounds like they dealt with it well. 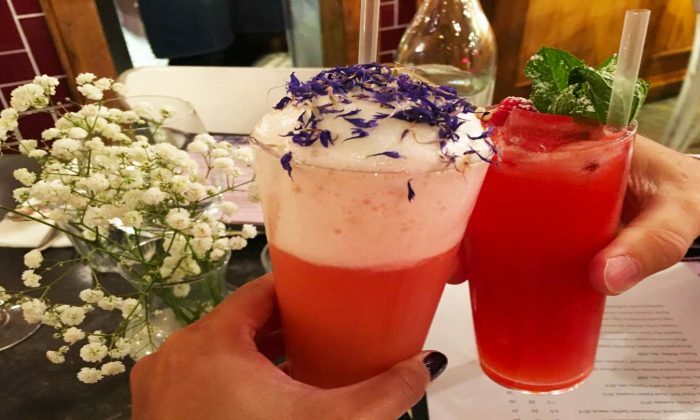 A great alternative to afternoon tea and a thoroughly enjoyable food experience!